Hemen zaude: Sarrera » Albisteak » The US edition of Días de Nevada has been published under the title "Nevada Days". The US edition of Días de Nevada has been published under the title "Nevada Days". Graywolf Press has just published Nevada Days, the American edition of Días de Nevada, translated from the Spanish by Margaret Jull Costa. The original Basque language edition of the novel won the Euskadi Prize in 2014. 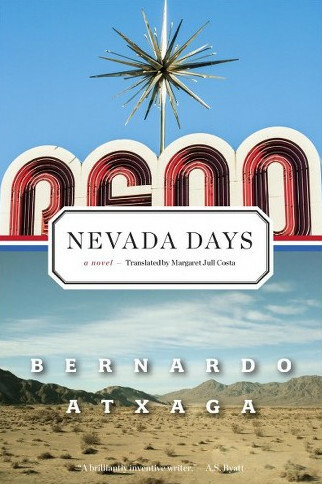 The US release of Nevada Days comes a year after it was published in the United Kingdom. Graywolf Press has also published Atxaga’s novels The Accordionist's Son, Obabakoak and Seven Houses in France. Nevada Days is a story made up of stories, like a Chinese box, showing us how every experience we have, every connection forged between people beyond temporal and spatial distances, each emotion that affects us, each threat that we face down, remains indelible and makes us what we are. "The sublime meets the surreal in this hypnotic blend of memoir and fiction by the great Basque writer as he explores Reno, Nevada, an outpost teeming with David Lynch–like menace and haunted dreams.” Oprah.com.